Introducing my new book (insert drum roll….) 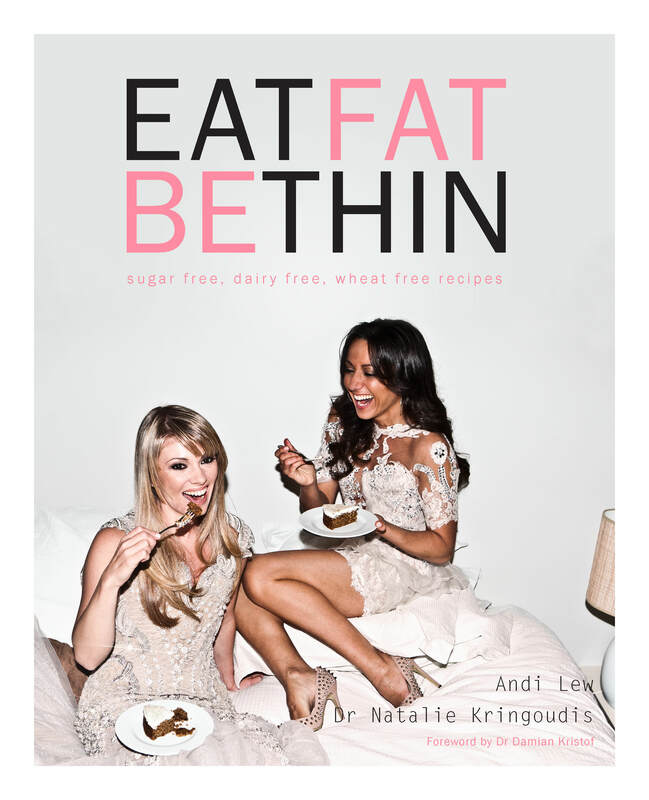 “Eat Fat Be Thin.” I teamed up with Andi Lew to share with you how you can have your cake and eat it too! When Andi rang through and asked me to co-write with her, there was no hesitation! She had a vision, and the topic of ‘how to eat fat and not get fat’ had been on my heart to share too, so this was a wonderful way to pool together our knowledge and help others understand just how to say in shape by fuelling your body well. You can find out more about Andi here and check out her book on natural parenting. She’s one clever chick. But back to Eat Fat Be Thin for a tick. Not only do we serve up the how’s and why’s, but we’ve also included recipes, so you can bring this into your home for all to enjoy the benefits. Now of course, this all links back to a more fertile you, because as we have discovered in fertilise yourself, fuelling your body well makes you baby ready. This is just another way you can enjoy delicious treats and stay on track. So join our Facebook page and we promise to keep you up to date as to when the book will be available for pre-orders, the launch, and signing event details too! I’d love to know what you think of our cover!